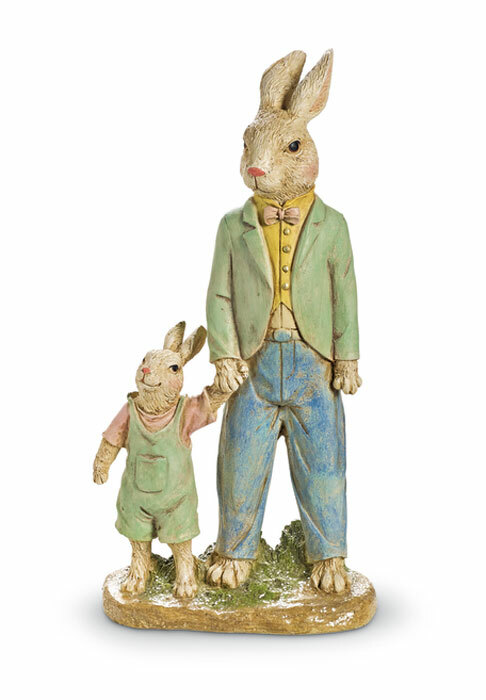 Dressed in Sunday’s best, Father Rabbit walks with his son. The statue is crafted of hand-painted resin. Formerly $50, now 40% off.